There is one family member in the Weatherford household always taking in the early spring sunshine...Stella follows the sunbeams everywhere they land, just waiting to feel their warmth. If only we all had this much time to factor such necessities into our day. 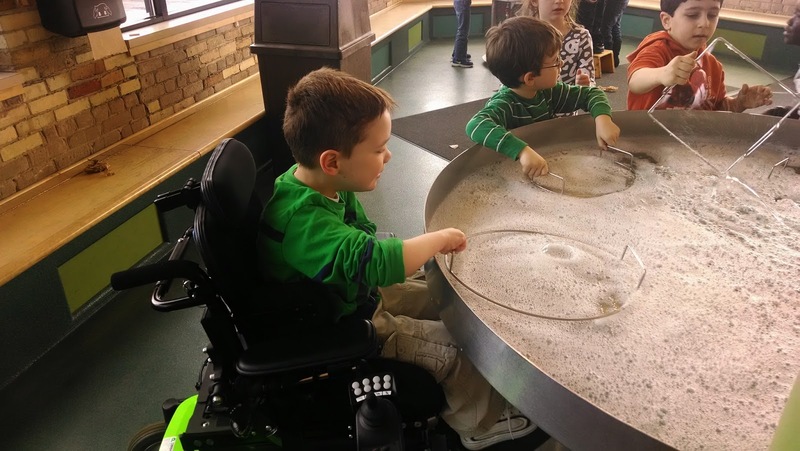 As a parent, one of the joys of having a child in school is attending the all-important class field trip. 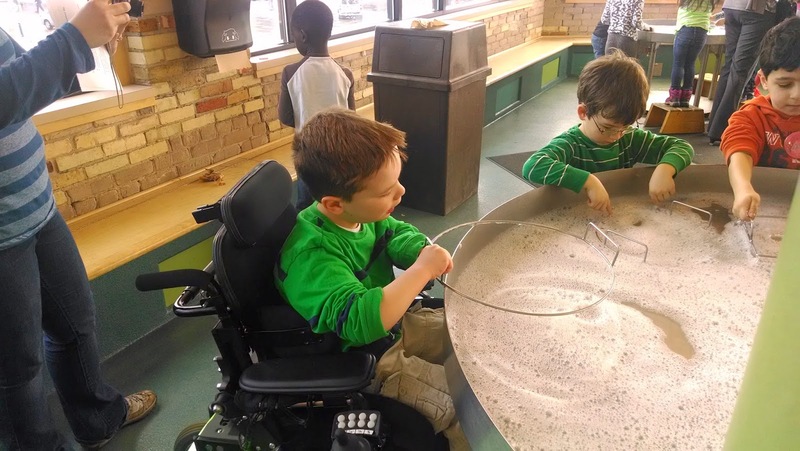 This week, Cam's kindergarten class headed to the Children's Museum in downtown Grand Rapids. Chris opted to venture along and meet the group there. With over a hundred kids from Cameron's school, the place was quite busy! 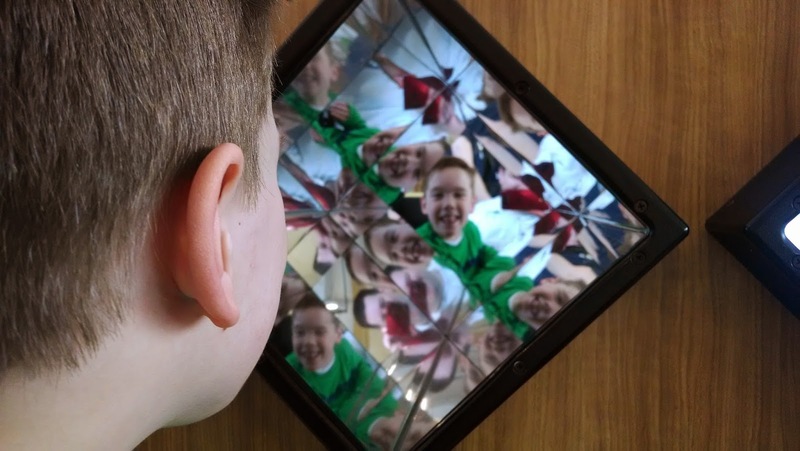 Cam and his dad took turns at the kaleidoscopic iPad area that created a cool mosaic to view on the screen. One of the most interesting areas for both guys was the enormous vats of bubble solution. With the many different "wands" of various shapes and sizes, the bubble-making fun produced some of the biggest soap creations ever seen! Chris is trying to determine if he can make one of these for the backyard. It was a special day for father and son and Cam was so very proud to have his dad with him! On Sunday, the weather felt as if it was on the verge of bursting into spring, which is why we gathered with the Raisch family for our first "burgers on the grill" supper. Maybe it's the fact that we'd waited so long through the cold winter, but the grilled feast tasted extra delicious. The homemade french fries accompanying our meal certainly added to the backyard barbecue feeling. Cam and his buddy Emma went to hang out in the play tent only to find the cat, Stella, stretched out in the middle. After gently moving the feline along, Emma created the following sign that we affixed to the train: "Cam & Emma aloud only." Emma's sisters commented that "aloud" wasn't spelled correctly, to which Emma responded: "it's ok, Stella can't really spell anyways!"